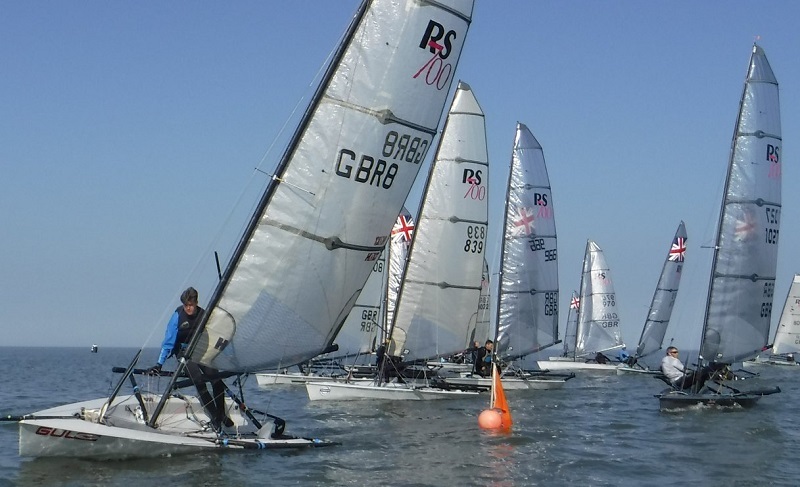 Snetfest 2 promised to be a top event following the previous year’s open meeting at Snettisham Beach SC and it didn’t disappoint. 16 visitors and 4 home boats made up the entry list of 20 competitors. Sailors had travelled from all over the country to this friendly East coast club. Most arrived Friday night and proceeded to be inducted into beach life. The locals’ attempts to derail the competition resulted in the rum stocks being depleted and a few sore heads the next morning, but nobody minded - it was warm and sunny and bacon butties were on the house. Racing got underway in very light airs. Those that found the pressure benefitted the most. There was close racing throughout the fleet. The race officer had his hands full with frequent shifts, however all 3 races were completed. 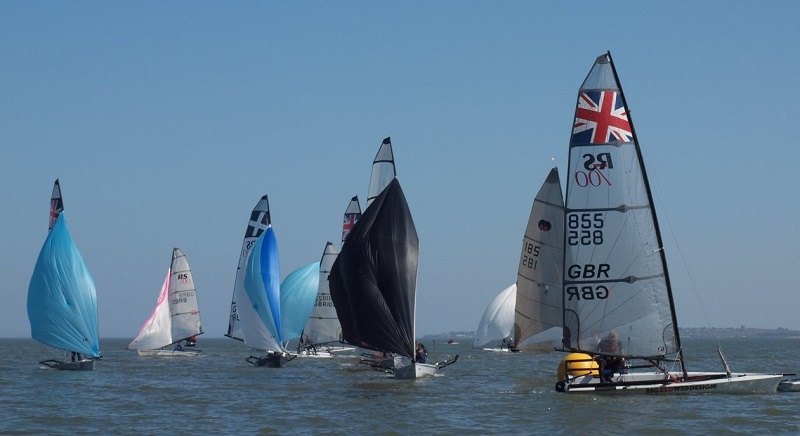 The Royal Navy’s Richard Wadsworth laid down his marker in the first race, and followed it up with another bullet and then a second, with only Colin Dacey finishing ahead of him in the final race. On the whole local knowledge didn’t seem to help the Snet boys, but they were pleased to be afloat in a big fleet with experienced hands and newbies alike. Jack Napolitano sailed his RS700 for the first time that day. He is one to keep an eye on for the future. Ian Nolan ran a popular spinnaker system masterclass in the afternoon which resulted in lots of bimbling activity around the boat park and some much smoother hoists and drops out on the water the next day. That evening the sailors settled down to a fantastic meal produced by the galley team before enjoying a classic Snettisham sunset on the balcony and a bit of re-hydration whilst listening to local band Wildwood. Sunday morning saw a promising light North Easterly breeze. The locals were optimistic that the sea breeze would build and so everyone was encouraged to get afloat in good time and the racing was underway promptly. Business resumed as usual for Richard in the first race. But Matt Carter took the bullet in the second and gave Richard a good run for his money in the other two. The home fleet let the visitors get the better of them for the second day in a row, and request that you remember that generosity for the return leg! 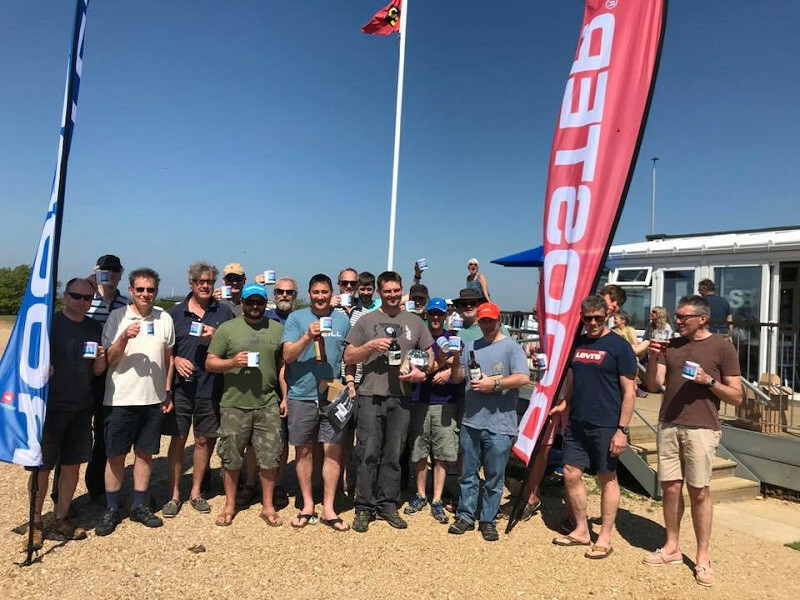 Philip Highfield had a consistent weekend and managed to secure 3rd place overall, Matt Carter took second and the class chairman Richard came away with first, a bottle of his favourite rum and the Rooster special edition National Tour neck gaiter. Jack Napolitano took the special prize of a Rooster neck gaiter for competing in his first event. 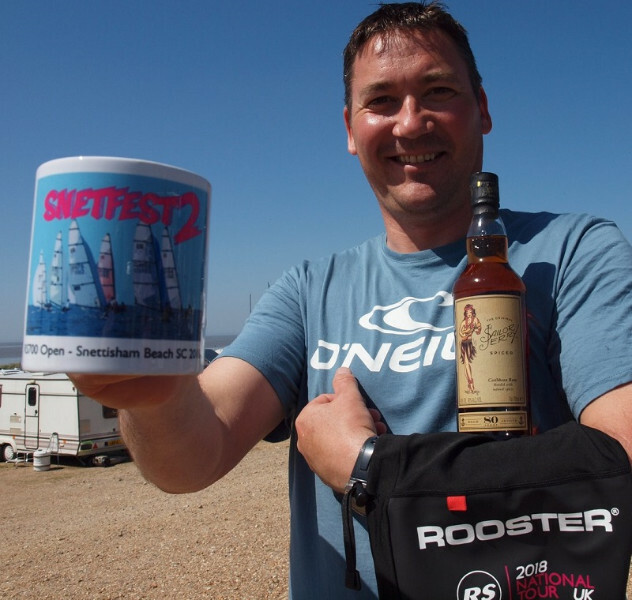 However everyone’s a winner when they visit Snet and all left with a classy Snetfest2 mug and a little sunburn. A handful of sailors stayed on for club racing on the Monday. This produced the best breeze of the weekend with plenty of flat wiring and some close competition (well once we’d finished our starting practise and a couple of general recalls). James Bayliss nailed the first race, closely followed by Philip, Spike Daniels would have been up there, but he decided to cool off in the tide, Robbie Bell and Theo Gayler were the losers in when a big shift lifted the fleet over them (it didn’t matter - we were just pleased to be stretching our legs). The second race was a cracking windward leeward course with Racy Dacey (Colin Dacey) setting the pace from the beginning. He took line honours and won the fleet racing for the day, Robbie was second and Philip third. Our thanks go to all of the competitors for supporting the event, the race team and support crew, Jeremy and Carolyn in the galley, Guy for keeping the bar stocked, Rose and Lucy for serving up drinks, Hamish for his pork pie and of course Rooster for sponsoring the circuit and this event.